Yahoo Messenger is one of the oldest chat clients still around. Though it hasn’t completely faded away into nothingness like the venerable MSN and AOL messengers, I can’t remember the last time anyone mentioned actually using it. Now it’s looking to make a big comeback. 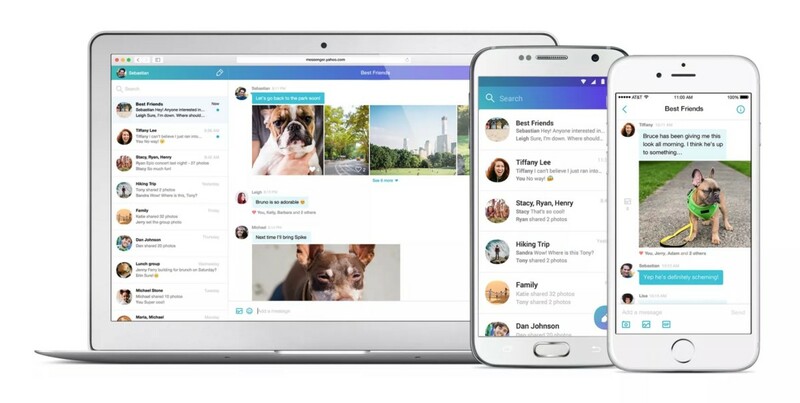 Yahoo today detailed a huge overhaul of the platform, bringing it in line with modern messaging clients like Facebook’s Messenger and WhatsApp, while adding some unique twists of its own. That includes tight Flickr and Tumblr integration, the ability to ‘unsend’ and ‘like’ messages, and a fresh new look. First up, Flickr integration makes it easy to share from your collection of photos. Yahoo says you can send ‘literally hundreds of photos at a time,’ and that they will appear in the conversation ‘almost instantly’. You don’t need to worry about storage space, as the images are basically streamed from the Web, but you can download the photos in their full quality too if you’d prefer. Speed in general is a focus for Yahoo here, saying conversation syncing on different platforms happen in almost real-time. It even continues to work when you’re offline, and will send messages as soon as you’re reconnected. The app also joins Viber in allowing you to unsend any message, photo or GIF, making it vanish from everyone in the conversation, although you can’t delete it just from your own view. On the other hand, you can also now hit ‘like’ on a post, which Yahoo says can come in handy for group conversations; you can use the ‘like’ as an acknowledgement when agreeing on a place to eat, for example. Of course, GIFs are bigger part of messaging than ever, so Skype now allows you to pull in GIFs straight from Tumblr – taking on Facebook and Wire’s tight Giphy implementation. It’s hard to say how much success Yahoo will have a this point; Facebook Messenger and WhatsApp have a huge dominance, not to mention other established players vying their way to the top. Livetext – Yahoo’s most recent attempt at IM – didn’t turn out so well. That said, perhaps the most important part of today’s update is the continued commitment to bettering the platform, so perhaps the new Yahoo Messenger isn’t totally done for yet. In the meantime, Yahoo is pulling no punches with its release either: the updated app is available globally today for iOS, Android, on the Web and in Yahoo Mail.